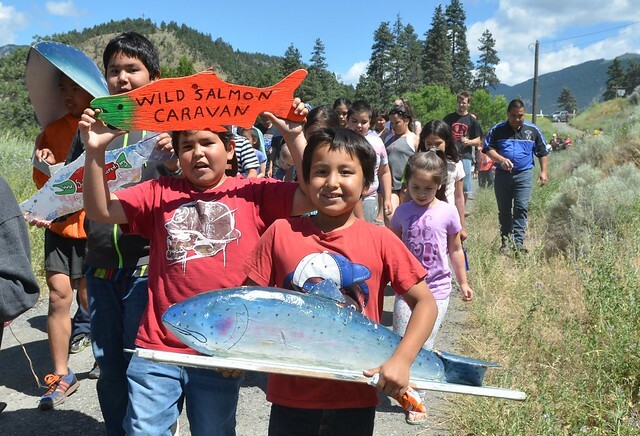 It has been nearly a year and a half since the Gateway first published this story on the Wild Salmon Caravan. 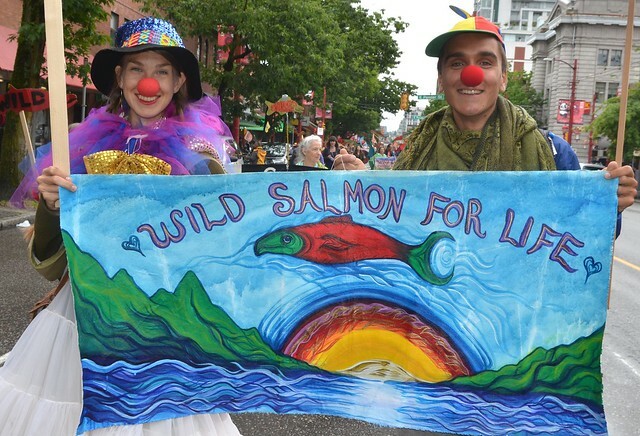 The event is now entering its third year to celebrate the spirit of wild salmon and call them home to the streams of rivers of BC. Dawn Morrison of the Working Group on Indigenous Food Sovereignty is working with regional planning teams in Coast and Interior Salish communities of Vancouver, Chilliwack, Merritt, Kamloops and Chase to lead this province-wide movement which will follow the tour route with creativity, joy, feasting, ancient ceremony, and song. 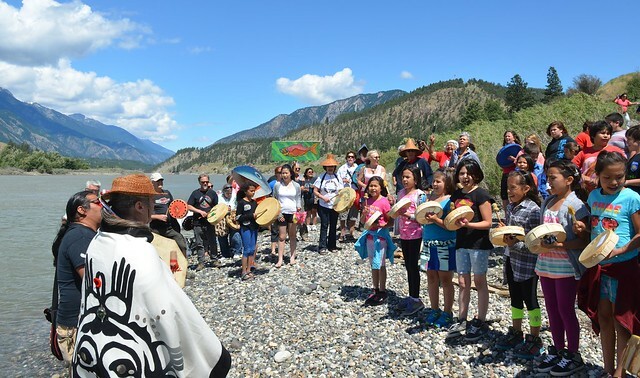 Over the next 6 weeks communities along the migration route from Vancouver to Adam’s River are welcoming participation from people of all cultures in community events and arts-based workshops to create banners, costumes, regalia, and floats for the mardi-gras style parades during the Caravan itself. The caravan is a manifestation of Indigenous food sovereignty which affirms that inter-tribal relationships are the foundation of Indigenous fisheries and trade knowledge systems. Each year, more and more community networks are focusing on food security and food policy and are responding to this call to action. 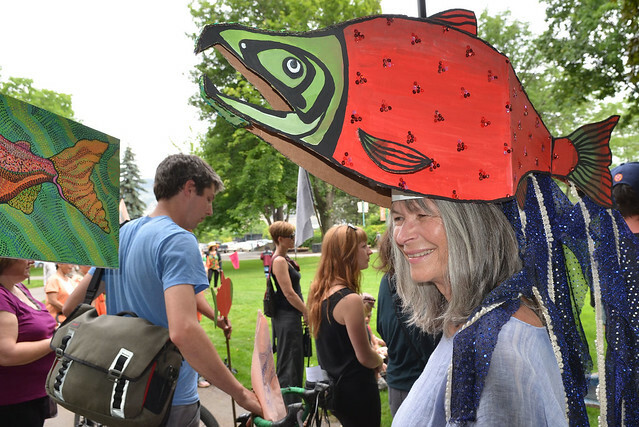 Municipal food policy bodies like the Kamloops Food Policy Council and Vancouver Food Policy Council are stepping up to sponsor feasts that will follow the parades, ceremonies and cultural events in their respective home cities. In Vancouver, the Vancouver Parks Board and Grandview Woodland Food Connection and many other individuals and community organizations are lending significant planning and organizational and workshop support. 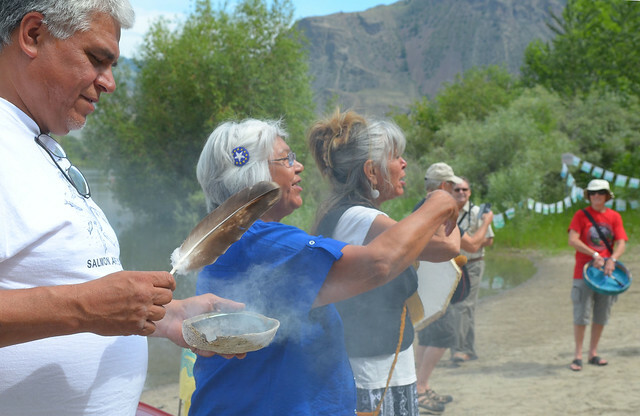 Community food groups are eager for food justice, and truth and reconciliation, and giving freely their time, energy, ideas and efforts to support the Wild Salmon Caravan in regional alliances where many are organizing support for Indigenous peoples in their efforts of achieving food sovereignty. 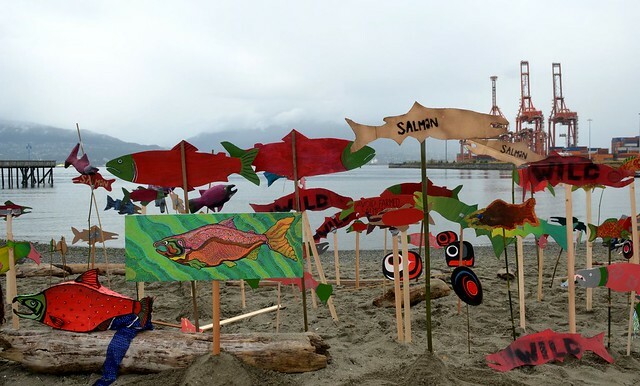 This entry was posted in Uncategorized and tagged Indigenous food sovereignty, wild salmon. Bookmark the permalink.